The 10 Principles - Discover how companies in Belgium take action to respect and support children’s rights via the Children’s Rights and Business Principles (CRBP). The Children’s Rights and Business Principles (CRBP) are the first comprehensive set of principles to guide companies on the full range of actions they can take to respect and support children’s rights. 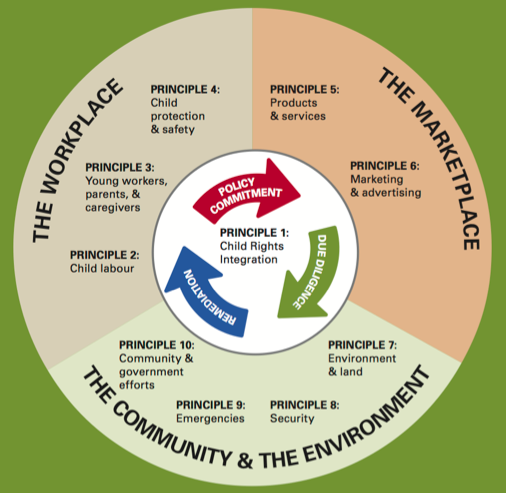 Concrete actions of our members on these principles can be mapped in 3 areas: the workplace (improve the well-being of their employees’ children), marketplace (respect the consumer rights of children) and community (empower children in their neighbourhood).